Part 5 of the 10-Days-Special on Australia is more of a step back in time. As you can see, it’s been ages since I was in Cairns but I just wanted to include some 13 year old pictures: I went to Cairns in 1999 as part of a school exchange group. 40 Highschool students aged 15 to 17 went to Australia for six weeks in their summer holidays to live four weeks in a guest family and to do a trip from Brisbane up to Cairns and back. In return the Australians had been to Germany already in their summer holiday, so in December 1998 and January of 1999. We had been travelling by bus for a week and been living in old army two person tents when we reached the most northern place of our tour. We didn’t actually stay in Cairns but about 70km north in Port Douglas. And as I just looked up, the Backpackers place Dougies still exists. It gets mixed reviews but back than it was my first real hostel ever (I had only stayed in German “Jugendherbergen”, official youth hostels, before that) and I thought it was just amazing. I just wanted to be old enough to travel on my own and always stay in places like this. From Port Douglas we did several trips. 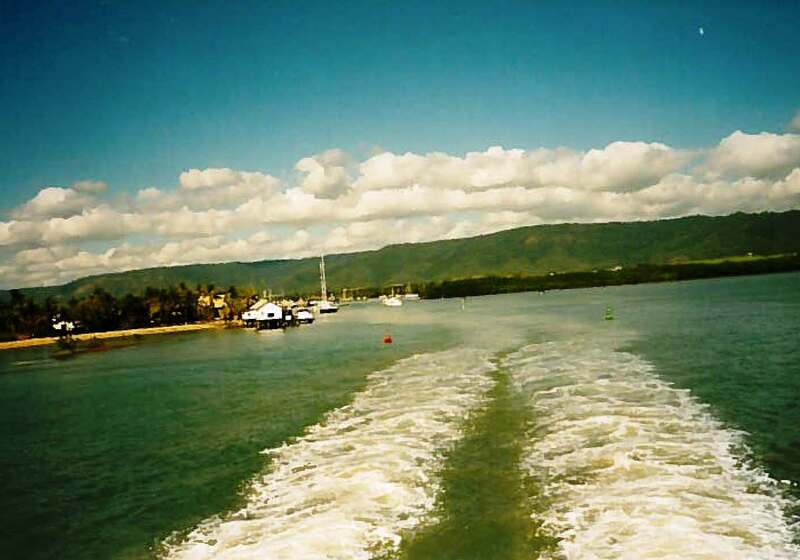 We went to Cairns to go on a cruise with the Quicksilver, a big ship, a bit ferry like, with all amenities one could wish for, that takes you out to the Great Barrier Reef where you then can go and snorkel. It was nice to see the underwater world of the reef (I had a disposable underwater camera back than so the pictures are not too good) but it was also very very crowed and touristy on the ship. If you get the chance to go on a smaller boat with less people, than do so! Sailing is especially nice (we had done a trip on a catamaran near the Whitsudays some days before which was far nicer). 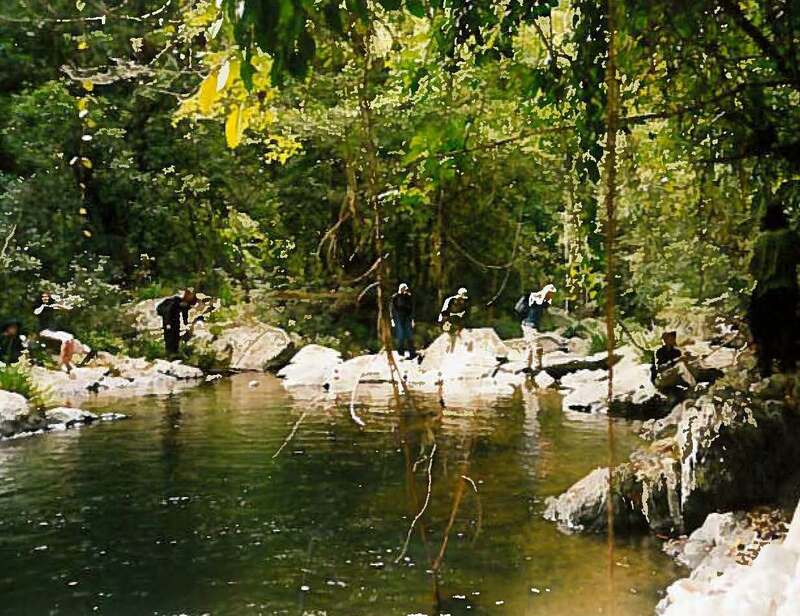 The next day we went to Daintree National Park, a rainforest area, where we went on a walk with a guide. We walked through the rainforest and ended up on a little rock pool where we all went swimming. Looking back I try to imaging what it must look like to see 40 high school students jumping into a rock pool. Not very quiet and serene as the place looked like otherwise, I guess. As you see, the pictures and my experiences are a bit outdated but I guess as what we saw was the Great Barrier Reef and the rainforest, that should’t change too much. If you’ve recently been to Cairns or the area in general and have some updates, I’d be happy hearing from you in the comments section. If you want to more up to date infos, check out the other parts of this special. 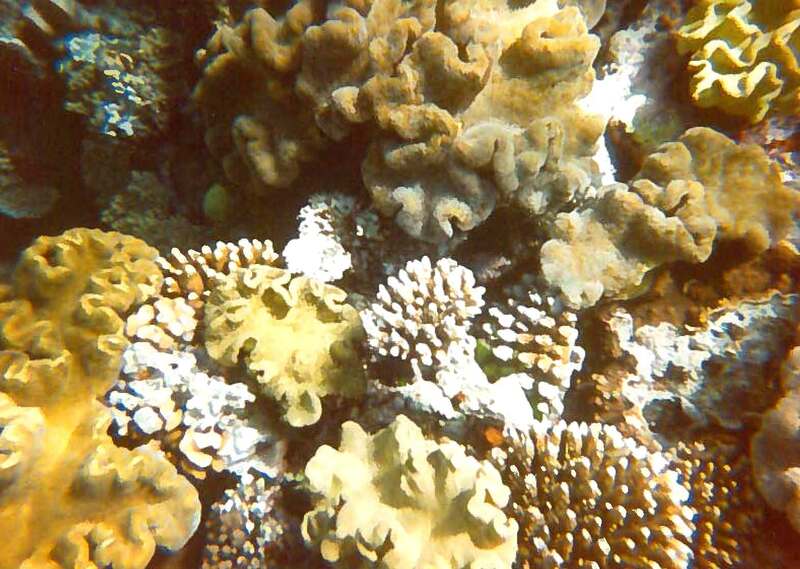 This entry was posted in Australia and tagged Beach, Cairns, Coast, Great Barrier Reef, Memories, Queensland, Sea, Summer by kathatravelling. Bookmark the permalink.